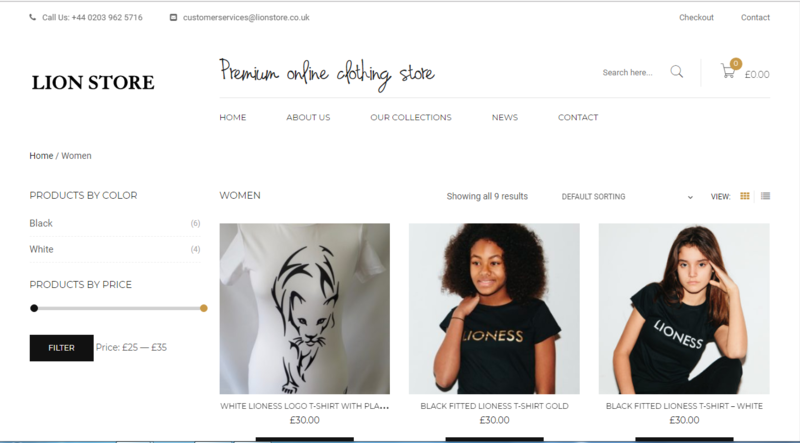 Lion Store is the UK based Client who sell the Tshirts based on lion, Lioness and Cubs. Offshore client are very good because they provide the very accurate specification and very best review suggestion. We have design and develop eCommerce on Wordpress Woocommerce Because Lion store have few products. We have Integrated paypal payment gateway. We have also Integrated the Social media account. We are also taking care Digital marketing of website which include website maintenance, SEO and SMO. We are posting the Products on all Social media website.